Above is the first draft cover of a new book that will be published as soon as we can fill the blank pages with your reminiscences of growing up in Ipoh. Text will be in the English language. ipohWorld will take on the task of collating, editing and dealing with the publishing and printing aspects, but the contents must come from you, as I grew up in UK. Now of course we do have some excellent articles on this blog already but much more is needed if we are to be able to produce the quality book we seek. We need much more about your schooldays, going to the movies (or storytellers street), Jubilee Park, the hawkers, the sounds they made (tock tock, ting ting etc), where they congregated (Convent rear entrance and Theatre Street for example), the food they sold (and more. Let us not forget the ice cream potong man and his gambling game, or the Milo man on his bicycle, the roti man and the Indian milk seller. Then of course there is home life, your parents, your neighbour’s profession, street games, rickshaws, trishaws, marketing with mum, local day trips, happy or sad times, festivals etc etc. 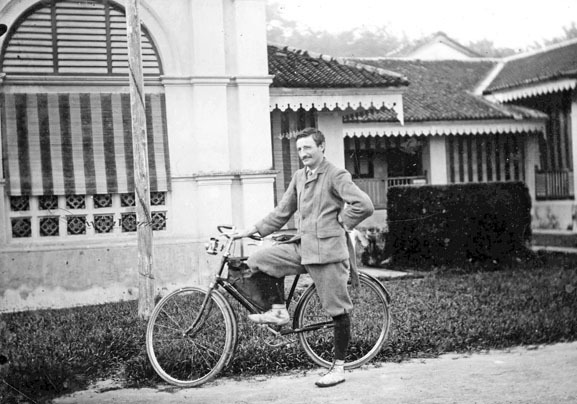 Since I have lived in Ipoh I have heard so many stories and it is time you wrote them down for following generations. But please understand that the work must come from YOU. All races, creeds are welcome to take part as long as you spent some time in Ipoh and have a story to tell. Every contributor who has a story published will be presented with a personal copy. WE look forward to your support. Please send all articles and high resolution (600dpi is perfect) scanned photographs to us at info@ipohworld.org and don’t worry about your spelling or grammar, we can soon sort those out. But don’t forget, no contributions means no book! Articles may be between 500 and 1750 words and more than one article reflecting different aspects of your young life are welcome. And please understand that regard to content and selection of stories, the Editor’s decision is FINAL. I am always proud of Ipoh’s historic buildings, monuments, parks, gardens and designed landscapes. Never forgetting its limestone hills, bean sprouts, sar hor fun (flat rice noodles) and the bougainvilleas. 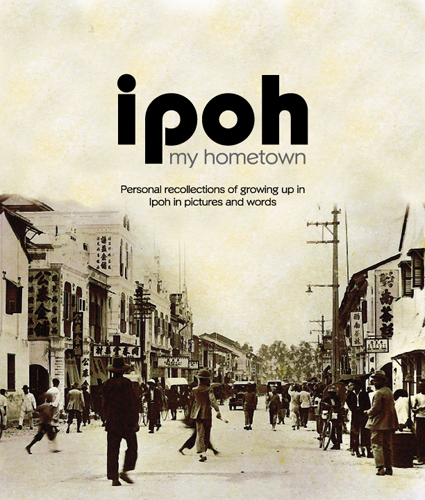 But most of all any books about “IPOH”, and I anticipate this “IPOH my hometown”. I might pen some of my memories about Birch Garden where I spent my early childhood in the sixties. We shall be pleased to receive your input so turn “I might pen some of my memories” into “I WILL pen some ……”. Ika, any idea what is the name of this street and the year this photo was taken? Hi ipohgal, this is Leech Street taken from the far end from Hugh Low Street. 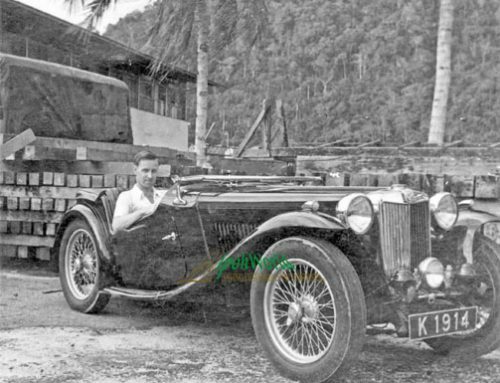 Judging by the car and rickshaw it is pre war, say 1930s. Ipoh my hometown what an opportunity to relive the glorious and happy memories of Ipoh history. I am sure there will be an abundant contribution to this book. Ipohite wherever you are contribute, send in your interesting articles. 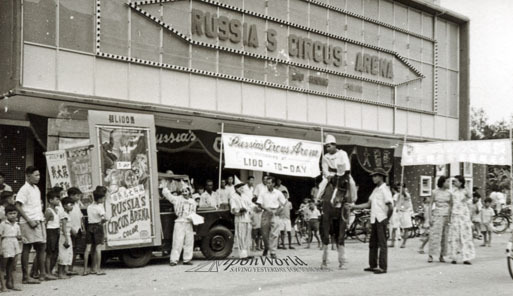 Let it leave an indelible memories to us older and younger generation of Ipoh. Will write when I do a bit of digging in my inner brain,where history data are hidden. Most probably I have to go through old photographs to start the story rolling. Now Ipoh,is not,My Home Town,I just happen to have a family connection with it and many fond memories,therefrom.I have visited Ipoh many times and, believe it or not,happen to love the Town.I would hate to see the place changed but we have to make way for progress and the ways of the Future.We don’t have to sell a Towns Soul. How about encouraging your local relatives to put pen to paper? Can’t wait to get my hands ( and eyes! ) on it! 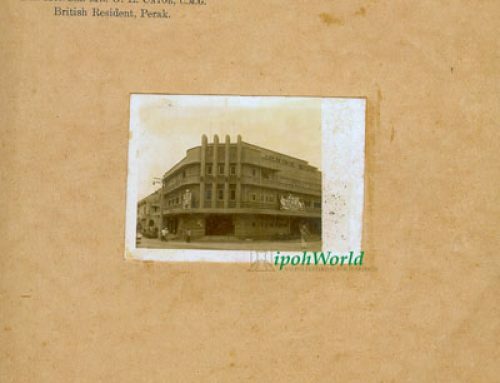 “Ipoh My Home Town” what memories and sentimental real-life stories aawits its unveiling….Thank you, IpohWorld! 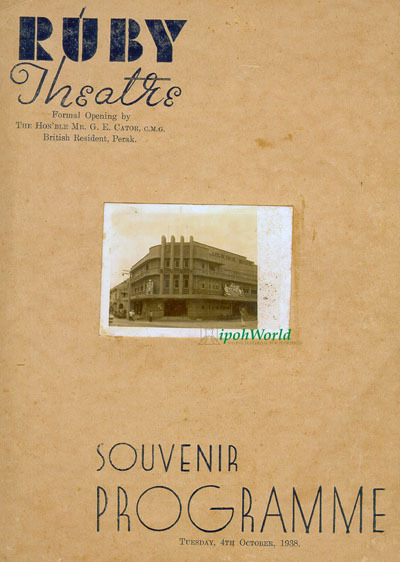 What a wonderful idea to archive the past with memories of people who were or are residing in Ipoh. I look forward to the publication. 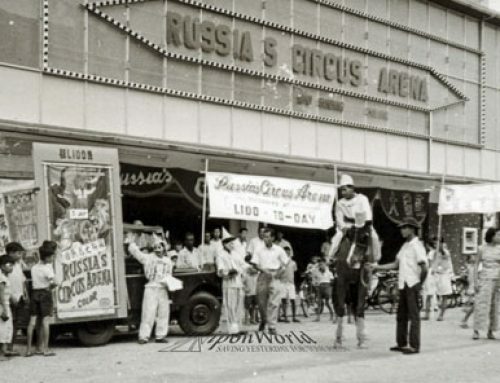 I still recall the era of the Sennivasagam brothers and the celebration of The town that tin built. 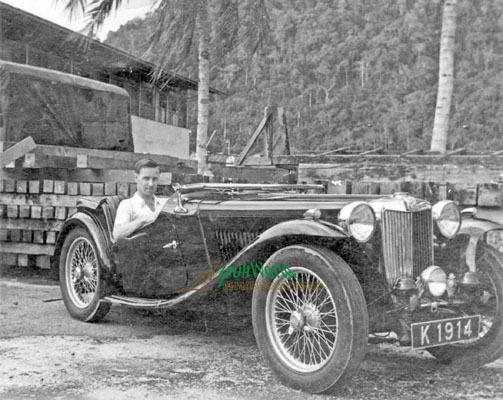 I am born and bred in Ipoh some 63 years ago. 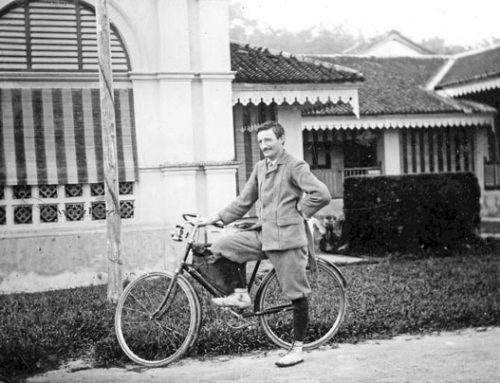 I have fond memories of Ipoh. I am sure you all would like to share your memories. Ian, mine is 99% complete and I’ll scan you a photo of me as a boy in 1979 in DR Park. Thanks Aaron. any other photos relating to your article will also be very welcome. Thanks , 5candles . Are we the only 2 who harbour such sentiments ? I hope that this is not the case . Drats!! My scanner/colour printer went kaput on me! Thanks for affirming that we all share one and the same “heart chord” on Ipoh . no other place than Ipoh can generate so much stirrings within me . I can’t fully understand why . Speaking from the experiences of my youth , there was so much beneath the calm and quiet of Ipoh and the serenity of its picturesque hills . Long may that last ! Perhaps like the birds, we humans too, possessed that ‘homing sense’ – the inborn ability to yearn for home when we have enough of the outside world. From where we came, to there we go back to, eventually. Ipoh is our home and nothing is sweeter than home. Have a nice weekend, fellow Ipohans and cheers! 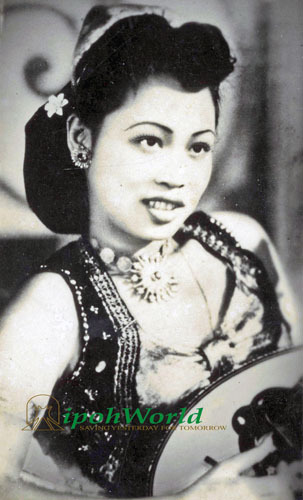 and also yau pheng! What more do you want? Do you know if you walk up Kledang hill in Menglembu, you will get beautiful scenic view of that place and the topography will of part of Ipoh. Beautiful fresh air and place to exercise, enjoy nature and interact with the local there. Forgotten the hawkers food there is delicious and price reasonable. It might not be up to the old days standard but still good. Hope you all could go there and have some fun and food there. Unfortunately , today some of the hills are pretty much cut down leaving ugly , deeply scarred facets . At least , your children can harbour memories of the hills in their prettier days . We will have to find every opportunity to enjoy what’s left before they are further ravaged by ugly dynamite blasts . 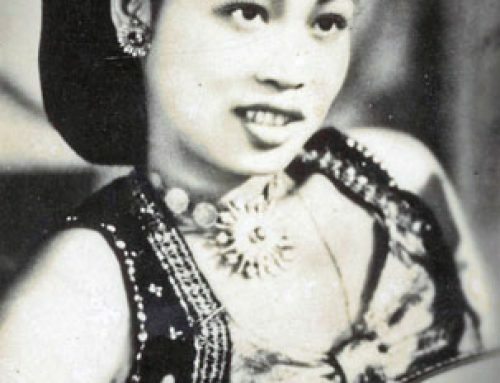 Ipoh has produced a lot of illustrious sons and daughters. They are brilliant and successful. Scattered all over the globe. If only they all come back and congregate together one day in Ipoh, it will be news of the century. Alas it is wishful thinking. Those prominent and important people don’t have time. If we can gather all the whose who famous local past and present it will be a thick volume indeed. Anyway we are all proud to be Ipohite once upon a time or now still am. The hill blastings had been going on for quite some time, the trail left behind was so obvious to those travelling along the North South Highway. At this rate, all the little hills will be gone in no time and part of Ipoh’s beautiful landscape will be destroyed forever. Can NGOs like Sahabat Alam Malaysia care to comment on this or like what you said, silence is consent? Alas , what will become of Ipoh , the land of hills and valley ? When the limestone hills are gone , what will become of Ipoh’s tau foo , taugeh , kway teow and Ipoh girls ? Like you , I hope that NGOs and the concerned citizenry will do something to make the authorities sit up and listen before we have every reason to lament . You are all correct of course, but I am disappointed that I have almost no backing to my protest on Ipoh Echo at http://ipohecho.com.my/v2/2010/10/16/ipoh-on-its-knees/ and that is despite my trying to get support by putting a note on our Chatterbox and the appropriate blog. To me that means that nobody cares enough to write even a few words on the Echo blog! I write very often in the Echo supporting the need for heritage conservation in Ipoh but never get any real support from the people. I sometimes wonder why I bother! devoid so completely of charm and beauty ! But you are absolutely correct that that could be our painful destiny . So ika’s plea is worthy of our support . To pen we must ! Hear all !